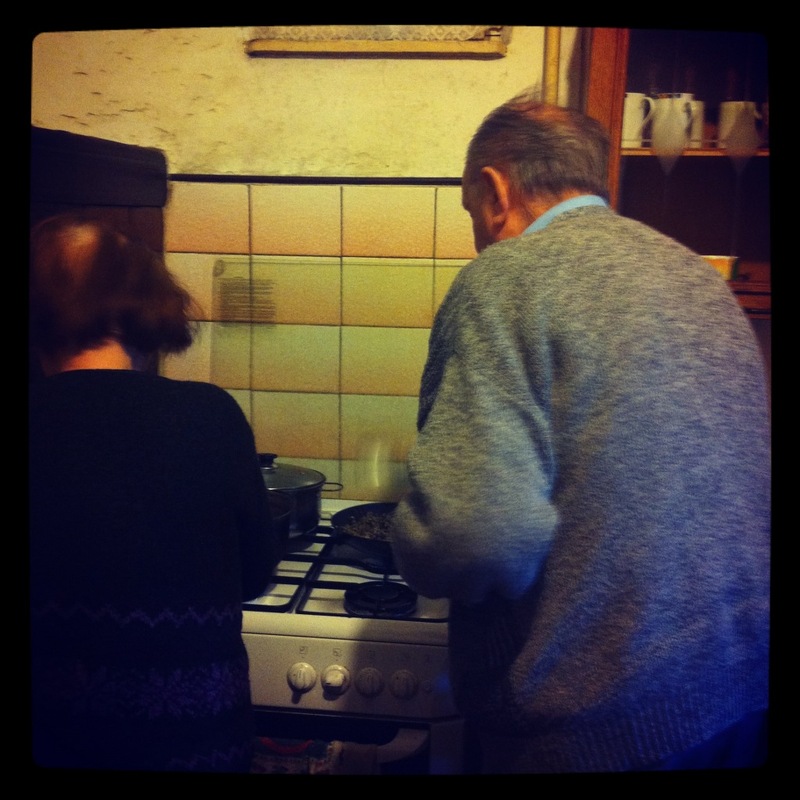 My only photo of my grandparents cooking, taking before that whole world disappeared. I don’t remember why I took this photo, I guess out of some sort of intuition that the world inside that house was not going to last much longer. My grandparents often cooked together and I grew up in their kitchen. They also made everything I wanted, they spoiled me all the time. This is the only photo I have of them in their kitchen, where the magic happened. For more grandmas (only, no grandpas) and their dishes, see Gabriele Galimberti’s photos of grandmas and their special dishes.